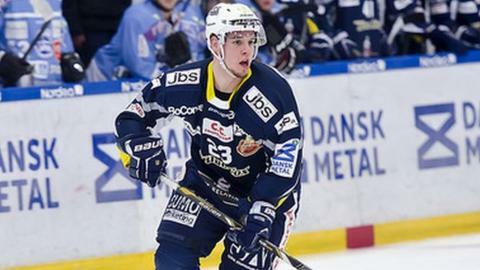 The Belfast Giants have signed 31-year-old defenceman Mitch Ganzak from Michigan for the 2015/16 season. Ganzak has played in Europe for the last five years and spent last season in Austria with Graz 99ers, where he was the team's top-scoring defenceman. Before that he played for three seasons with Denmark's Herning Blue Fox, winning one league title and two main cup competitions. The Giants said they had been chasing Gansak's signature all summer. "The reputation that he has, the message kept coming back about how hard he competes and I think that's what we need," said Steve Thornton, Head of Hockey Operations. "He has been an East Coast all-star, NCAA all-star and an all-star d-man in Denmark where he led all the d-men in scoring. "He had another great year in Austria last season - a league that has a great reputation. I think he will be a favourite with the fans in Belfast." The Belfast Giants finished fifth in the Elite League table last season, having won the title in 2014. Under newly-appointed player coach Derrick Walser, they will begin this season with games away to Dundee Stars and Edinburgh Capitals on 4 and 5 September.